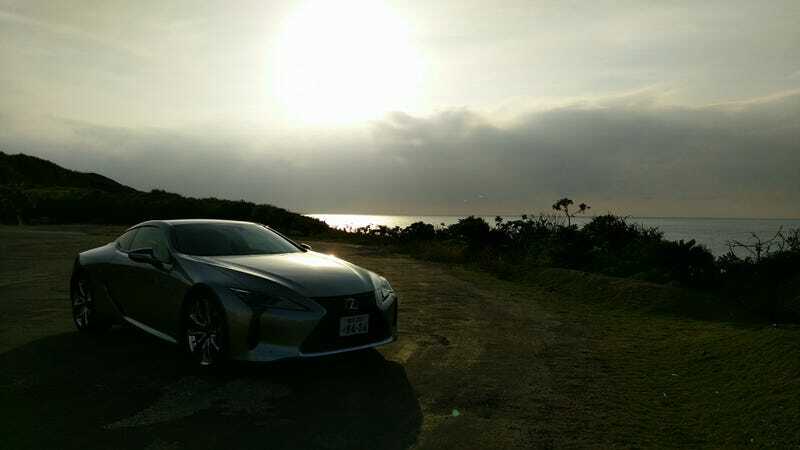 Usually I’m not allowed to take pictures at work, but since the LC is already on sale, I was able to snap a quick photo of it with the sun starting set behind it on the edge of Iejima in Okinawa. Got the Healey back on the road today! Finally picked my Gemini up from the port!